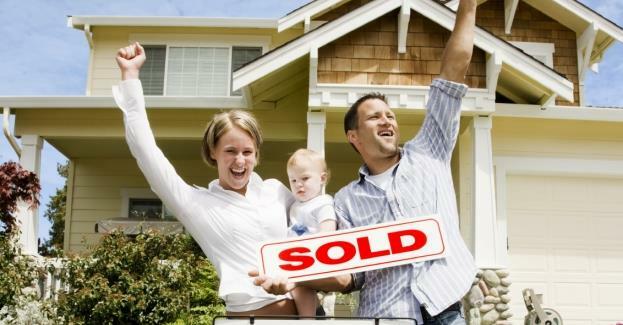 Our goal is to provide home buyers and home sellers with more choices in real estate services at a fair value. That’s why we have partnered with MLS Listing System, Canada’s leading MLS or Exclusive private sale franchise network, to bring our portfolio of brokerage services to home sellers and buyers for entire Ontario. Consumers now can get all of the choices in services they may need from our combined group to address their real estate needs and at the same time save thousands of dollars when compared to how they likely bought or sold their last homes with us. Sell your house Exclusive or on MLS without paying high fees through us. At some time in your life you come across this question being home or property owner for sure!! What is the Worth of My Home? How Much Is Your Investment Worth? Please use this or forward this page to your best friend or family member and help out!! You deserve the best, call Vijay Gandhi at 647-267-6338 and find out You may be richer then you think* but you need to know it!!! The correct selling price of a home is the highest price that the market will bear. To assist you in determining the correct asking price we provide you with a comprehensive market analysis of comparable properties sold and offered for sale in your neighborhood with even most recent updates. Simply enter your criteria below, and we will provide you with a speedy response. The more information you give us, the more accurate the evaluation we can prepare. All information you provide is secure and will be kept strictly confidential. There is no obligation. Please indicate when you are thinking of selling and if you are moving or relocating in or out of TORONTO (GTA). If you’re planning on putting your home on the market, determining your asking price is the most important decisions you will make. Don’t be fooled into thinking you can start off with a high asking price, and cut the price later if you need to. If you want your house to sell beneficially, overpricing is a bad strategy. When you price your home too high, potential buyers will likely ignore the listing. Then, when you eventually drop your price, buyers will see how long the house has been on the market and they’ll assume you’re a desperate seller — which you may be at that point. It sends the signal that there is room for even more negotiation. And if you price too low, well, no one wants to leave money on the table. So how do you go about determining a fair price? Sellers need to take the time to understand what’s happening in their local market. It’s important to look at what’s happening with home values in your area. This site enables you to research recently sold homes comparable to your own and check home value trends so you can set your price based on local market conditions. Listing Price is decided by seller and we help our clients in their decision making process with past and current market evaluation for selling ahead. This may seem like a no-brainer. But rather than just listening passively to what we as your agents recommend, or on the flip side insisting that you know best, engage in a real conversation about what buyers are looking for in this market and how your home stacks up. Are there improvements you can make so buyers would be willing to pay a higher price? Discuss your timeline to sell and if you should price differently based on that timeline. Yes, buyers will most likely hire a home inspector, but sellers should, too. Hire a qualified inspector to evaluate your home’s major systems (electrical, plumbing, heating, cooling, roof, etc). Nobody’s home is perfect, yet sellers are often blindsided by demands for costly repairs they didn’t anticipate on systems they have never had issues with. Often, sellers feel stuck after possibly agreeing on a purchase price of less than they originally asked. Then, once their home is sold conditionally, they are asked to make costly repairs or reduce the price. On the positive side, if everything is in good working order after a pre-sale inspection, sellers can use this information as a marketing tool. Once you think you’ve come up with a good price, put yourself in the buyer’s shoes and see what else you could get for the asking price of your home. Often sellers are too emotionally attached to their homes to objectively place a value on the property. Once you start looking around to see what else is selling for that price, you might have a better idea of how appealing your house is in the current market. Living in Toronto - Ontario? Looking for a free home evaluation? Just want a rough estimate? Well, if your home is in Toronto Ontario, using the evaluations form below, simply provide the details and I will e-mail some computerized market comparables of similar homes for your own evaluation and analysis! In compliance with local real estate rules home estimates for value can only be made after a personal inspection of the property which I will be happy to provide without obligation. "I believe in providing the best service to my clients who has resulted in my business being generated from referrals and repeat customers. Thank you for your trust." "MAKE US YOUR PERSONAL...REAL ESTATE ADVISOR FOR LIFE"